By John Biviano, Senior Vice President & General Manager Australia, Nearmap. 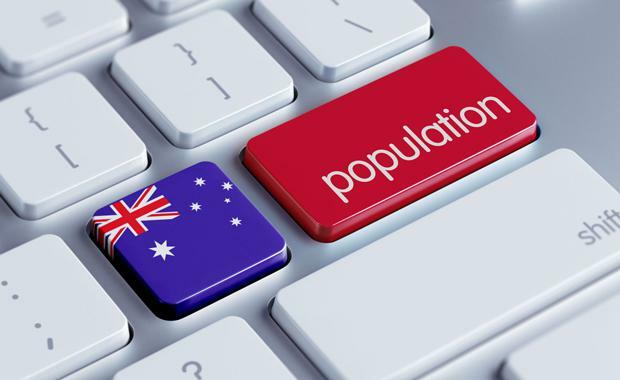 Australia’s population is growing faster than expected, reaching 24 million, 17 years ahead of schedule. This growth has driven the transformation of our cities. Major infrastructure projects are underway across the country and many others are already in the pipeline. The facelift of Elizabeth Quay in Perth, the urban sprawl in Waterloo, Sydney, and a number of new suburbs popping up such as Crace in Canberra and Cranbourne in Melbourne, are quickly developing to accommodate more Australians. Urban growth is extremely complex and if not planned properly, it could have long lasting negative consequences for its communities of residents and businesses. Local, state and federal government agencies need to ensure they make informed decisions, carefully oversee a number of infrastructure projects, and anticipate and diminish any potential issues such as traffic congestion, in order to make areas more liveable. With all these factors at stake, how can we keep up with pace Australia’s urban development demands but also ensure we have time for strategic planning?Innovative and smart technology like high-resolution aerial imagery can help accelerate each stage of urban development, from the planning process to the execution and evaluation of infrastructure projects. The planning stage of urban development requires surveying locations of interest and assessing the impact that a construction could have on each of those areas. Using aerial images, urban planners can see what’s on the ground in great detail, on any desktop or mobile device. Aerial images enable urban planners to analyse the strengths and weaknesses of different areas and take accurate measurements within minutes. This technology allows them to virtually assess different locations and determine which one fits the development criteria best. Imagine how much faster planning would be without having to organise multiple onsite visits to each and every location that might be suitable for developing new infrastructure. Construction teams can also leverage aerial imagery to estimate time and costs for projects. Through these images, they can measure areas and volumes, predict if a region is prone to floods and whether it’s safe to build on, or what specific requirements should be taken into consideration. This technology streamlines the collection of information required for planning and allocating resources. For example, when planning the new community of The Hermitage in Gledswood Hill, Sydney, urban planners and government bodies used aerial images to get a better understanding of the area, take measurements and design the “master-planned community”. The team also used aerial imagery to identify whether a new road was required and how long it needed to be. They could also virtually place roads across the region to get a visual idea of how a road would look and design the best route. Aerial images can also be used to monitor the progress of a construction, making it easy to point out inefficiencies and make appropriate changes to complete infrastructure projects on time. Instead of personally inspecting sites to analyse the evolution of a construction, each party involved can monitor progress from their desks and communicate observations supported with aerial images to other stakeholders. This accelerates the entire process, allowing more resources to be invested in the building efforts to deploy faster results. Aerial imagery also improves workers’ safety by helping teams familiarise themselves with an area before sending any staff out there. Construction teams can easily identify any danger, prevent it and plan out the best approach — avoiding setbacks. This is especially useful to ensure a construction is safe for workers after a big storm or strong winds hit that location. Aerial images are also key during the evaluation stage. By keeping a close eye on the development of a new suburb, for example, urban planners can decide if a street should be wider, or if a park should be closer to a block of houses. Up-to-date aerial imagery makes it easy to evaluate infrastructure projects and to quickly make strategic changes. Today, our major cities and outskirts are experiencing extensive facelifts to cater to a rapidly growing population. However, our population figures are increasing at a faster pace than planned, making it paramount to accelerate the overall urban development process. Luckily, we live in an era where disruptive technologies can make our jobs easier and faster, providing us with time to focus on strategic planning and attention to detail. We need to ensure we leverage this technology to build smart, well connected cities.